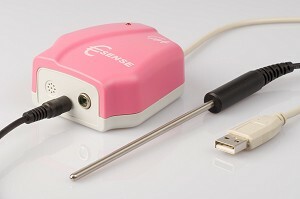 €Sense is an easy-to-use USB lab interface. An included, external temperature sensor is suitable for temperature measurements in fluids. The built-in LED and buzzer can be used as actuators in simple control experiments. More technical specifications about €Sense you can find in its User's Guide and in the €Sense flyer. Based on educational research and on experience with the use of ICT in primary schools CMA has developed Technology Enhanced Primary Science Set - a series of technology-enhanced inquiry-based science activities for students between 9 and 12 years.